Back in April, we attended Brighton SEO, and one of the most interesting concepts that we took away was the idea of a future of keywordless search. Most of the speakers mentioned voice search taking over – with the likes of Siri, Amazon Echo, Cortana, etc, etc. One speaker alluded to search becoming more visual, with people searching for things on the internet by using images. Visual search was the focus of our latest think with Footprint (we’re feeling very spoilt at the moment, two sessions in under a week!) We were extremely pleased to be joined by David, co-Founder of Visii, which is a new and innovative piece of software providing intelligent visual search. David says that we are at the dawn of the future of online interaction, a lot of which will be visual. Visii is a piece of artificial intelligence software that learns similarities between images by crawling, categorising, and connecting them. It looks at images in a similar way to how people do, creating a tailored categorisation of images for each user session, thus making image discovery highly relevant and unique to the user. On the surface, the process appears quite simple. Users make an image selection, then Visii makes an intelligent visual connection with images that are relevant to the user. 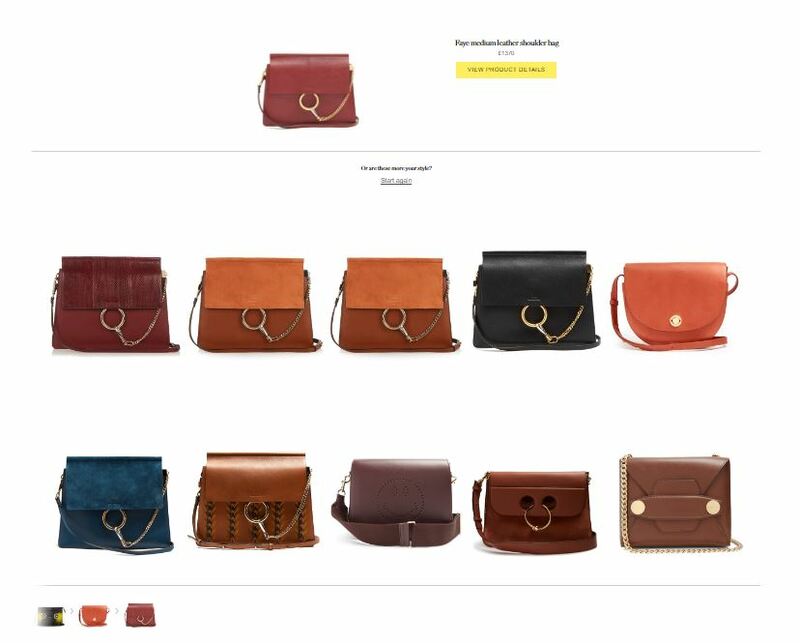 Visual engagement like this for an e-commerce website is useful because it gets the user quickly to their checkout image, helping to boost conversions and turn more users into customers. It means that companies with a large number of products can make their image catalogues visually searchable, helping users to find what they want without having to verbalise their search. Visii is useful for a number of reasons. One of the most important reasons is that it solves the problem of search fatigue. Consumers can quickly get tired of searching, especially if the search is not yielding any useful results. Traditional keyword search can also be problematic for users who don’t actually know what they’re searching for, or don’t know how to put their search into words. For example, if you’re looking for a new piece of art, you won’t know exactly what you want until you see it- and if it’s something abstract you’re after, you definitely won’t be able to put what you want into words! David explained that the easiest way to choose is by looking, and this is what Visii allows people to do. In just a couple of clicks, a person can get to where they want through a user friendly visual process, rather than a frustrating keyword search. Whilst there are other visual search AIs out there, Visii is unique. This is because instead of simply showing you images that are very similar, it takes into consideration your selections and non-selections. Within a session, your images choices will be analysed in real-time to help show you the most relevant images to you. One question that we asked David, was ‘could you use information from past sessions to help your software make decisions in future sessions’. He said that although this would be something they could look to test, it potentially wouldn’t fit with their ethos to do something like this, because their values surround personal search. They want to listen carefully to each user, and not judge their image journeys in any way. Visii is about anonymous journeys through images, and about the here and now- they don’t want to depersonalise the search. What do we Think of Visii? 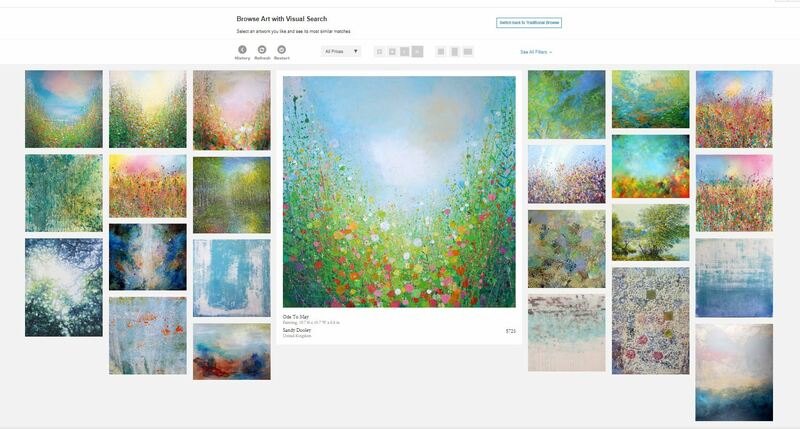 Overall, the Footprint Team were really impressed with the idea of an intuitive image search! After playing around with a couple of examples, we can really see how this kind of technology could begin to take over from keyword search, especially in industries that are very visual, such as art & design, home furnishings, clothing, and the like. It makes search fun, and it means that you don’t have to rack your brains working out how to describe something that’s in your mind’s eye – you can just look for it. Could be advantageous to the team in the right field. How could you progress or use this to your advantage in this present and future society?